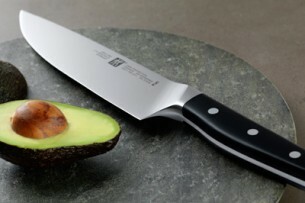 There are a number of premium cutlery series to choose from. Each features a distinctive style, weight and balance to ensure a comfortable fit for every hand size. Our latest innovative series feature a contoured bolster, improving the transition from handle to blade for perfect balance and control, guiding the hand into a secure pinch grip. Wedge shaped blades simplify cutting techniques and allow for better rocking / chopping motions. Master bladesmith Bob Kramer has spent decades in the craft of knife making in pursuit of perfection. These custom artisan knives feature straight carbon 52100 steel blades which undergo a special hardening process to maximizes the properties of the steel. 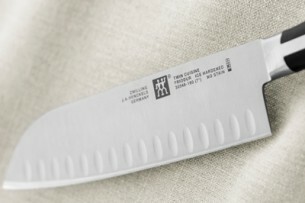 The result is a blade with 61° Rockwell hardness and exceptional cutting edge retention. Incorporating one-piece SIGMAFORGED® construction and FRIODOR® ice-hardened blades for long lasting sharpness and corrosion resistance, PROFESSIONAL “S” is the Standard for all prestige German knives. 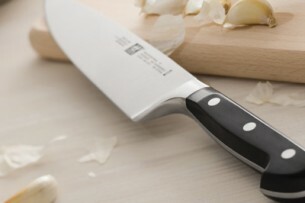 The classic styling features a traditional 3-rivet handle design with a full tang. 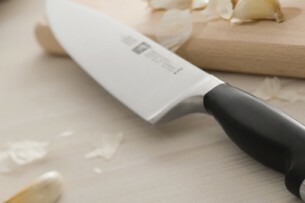 Building on a culinary first, this ergonomically molded handle has set the standard for comfort and control for over 30 years. Embellished with a TWIN logo on a stainless steel end cap, this series features one-piece SIGMAFORGE® knives, ice-hardened and perfectly honed for a lasting cutting edge. Bridging traditions of the past to technological innovation of today, TWIN® 1731 represents a synthesis of form, function and design. Following the principle of “aesthetics through reduction”, acclaimed designer Matteo Thun has created a knife series that conveys familiarity and serenity in simple elegance. Acclaimed designer Matteo Thun provides a modern twist on a timeless classic. Precision forged from a single piece of our special formula steel, these new wedge-shape blades merge seamlessly into the innovative new bolster design offering comfort, balance and safety without compromising the cutting edge. 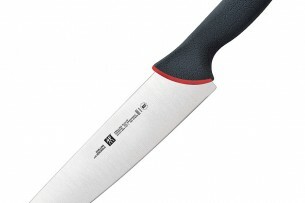 ZWILLING J.A . 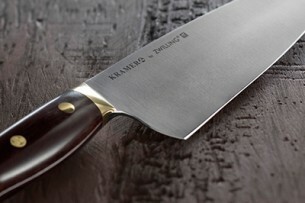 HENCKELS’ innovative forging technology has produced a revolutionary knife design featuring a full horizontal tang. 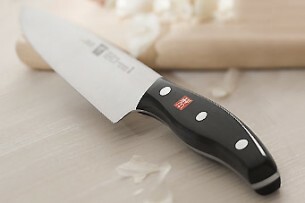 With added mass in the contoured handle to enhance the cutting properties, TWIN® Cuisine series is a powerful addition to any cutlery collection. 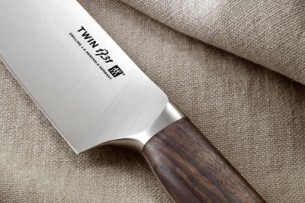 Lighter than bolster knives and an excellent choice for the ambitious hobby chef, TWIN® Signature is precision stamped from our high performance “NO STAIN” stainless steel. 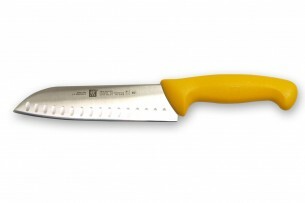 Featuring an ergonomic 3-rivet handle with an embedded TWIN® logo, these knives deliver exceptional value without compromising quality or performance. The ingenious 6 colour ID button system easily identifies a knife to prevent cross-contamination during food preparation; ideal for the conscientious Chef. 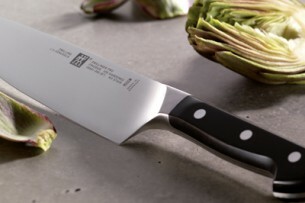 These precision stamped, finely honed, high performance “NO STAIN” stainless steel blades combined with ergonomic safe-grip handles make ZWILLING® KolorID the perfect knife for the commercial kitchen. A commercial knife series which meets all requirements of strict hygiene, safety and quality regulations demanded in a professional kitchen. With bright, ergonomically shaped handles these precision stamped, finely honed, special formula “NO STAIN” stainless steel blades deliver long lasting cutting performance; they are simply masterly. Acclaimed designer Matteo Thun merges innovation and tradition resulting in “Profection”. Precision forged from a single piece of our special formula steel, these new wedge-shape blades merge seamlessly into the innovative new bolster design offering comfort, balance and safety without compromising the cutting edge.